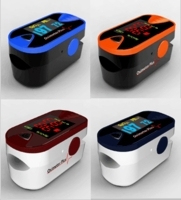 Oximeter Plus, Inc. has developed a nationwide reputation as a leader in supplying high quality oximetry products at excellent prices. We believe that providing low prices and superior customer service has been the key factor to our success. Our top priority is the satisfaction of all of our customers. We always make sure that you get the product you need, when you need it. Our staff is always friendly and knowledgeable. Whether you have questions about our products, or if you simply want to place an order over the phone with a real person, you can rest assured that you will always have the excellent service that you deserve. Our primary goal is to provide the best possible place to shop for your oximetry needs. We continue to grow with the help of our capable employees and wonderful customers. We always remain grateful for your continued support and will continue to serve you with the highest level of reliability, professionalism and integrity.